Human Resources Expertise has been operating since 2000. Major visionary companies and individuals trust us to reach growth and to claim success. 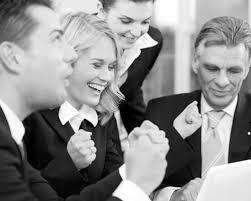 We assist businesses and organizations to achieve great results at all times -through their people. We support them to establish trust and energize personnel, to change organizational culture, to reach alignment with every new strategy and decision. Moreover to deal efficiently with all Human Resources Management issues and reach an innovative and positive working environment. We coach people to reach their goals, unleash their potential and expand their horizons. Furthermore we help them inspire and lead winning teams in times of crises. The professional coach facilitates and challenges you to overcome internal and external obstacles, design a plan of action, and follow it successfully. The ultimate goal of HRE coaching is to bring out your best, to stay focused on your needs, values and vision, and to live in authenticity. We look at issues such as meaning, freedom, choice and responsibility and how these play a part in your life.